The couple married at St Oswards Church Haberfield NSW. Christopher now 25 married Janet Wornham also 25 from Reigate in Surrey. Janet was the daughter of Peter Wornham and Janet McIntosh who had married in 1868. He wasby trade a grainer and later a painter/decorator in Reigate Surrey. It is possible that Christopher Langman worked for Janet's father's business which was how they met. Peter Wornham died in Reigate in 1907 and his wife Janet died also in Reigate in 1908. We believe shortly after this date the remaining Wornhams emigrated to Australia and Christopher Langman went with them. 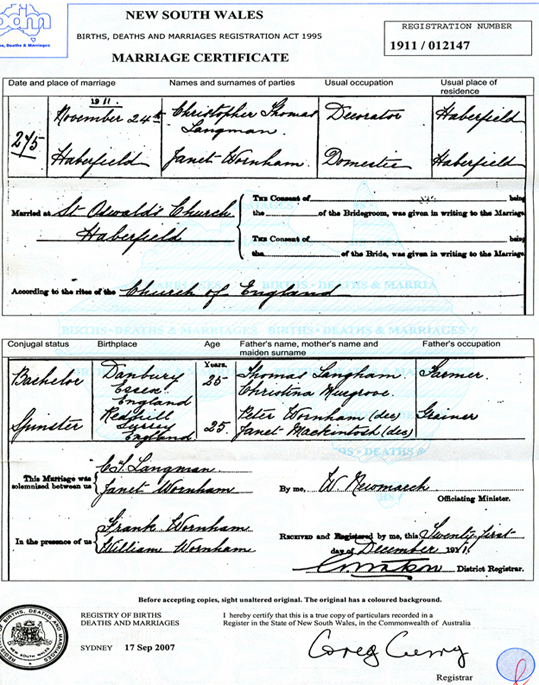 The marriage certificate left shows the witnesses to the wedding as Janet's brothers Frank and William Wornham. Christopher Langman's occupation is shown as decorator. They were to have two children Edna Georgina Langman born 1915 and Betty Langman who was born in 1919. 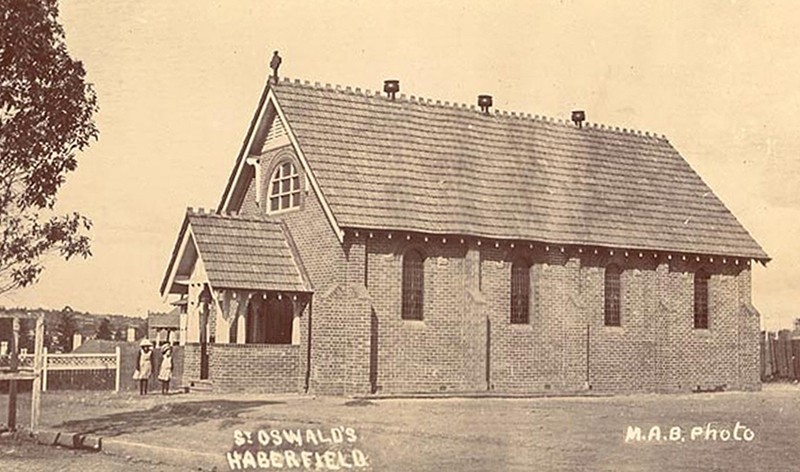 The photo below shows St Oswards Church about the time of the marriage.